Steam mops have soared in popularity in recent years with many UK homeowners now seeing them as a ‘must have’. At SteamMopReviews.uk we aim to give you all the information you need to decide if you should invest in one, and if so which? My name is James and I’ve been testing and reviewing home appliances for several years now. I’ll do my best to explain below what steam mops are, and what are the pros and cons of them. If you want to research in greater detail you can check our buying guide for a more detailed breakdown of what the key criteria are and what to look for when choosing. You can of course read our steam mop reviews for a down-to-earth and straightforward summing up of the best-selling products. As you’ll discover there are some products that sell by the bucketload (if you’ll forgive the mop pun) as they are heavily promoted on TV etc but tend to leave buyers distinctly under-whelmed. We’ll also tell you which we think are the best steam mops on the market in our Best Buys section. What is a steam mop? 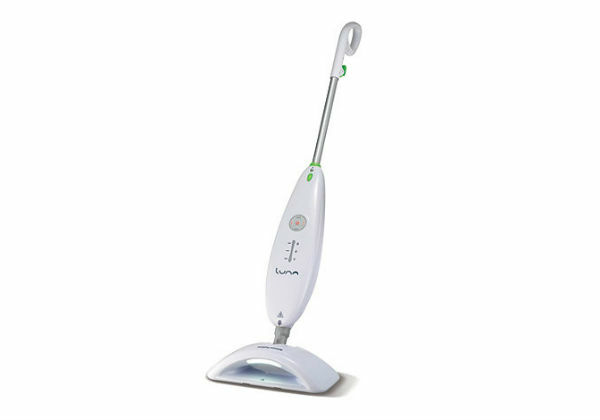 A steam mop is shaped much like a traditional mop. 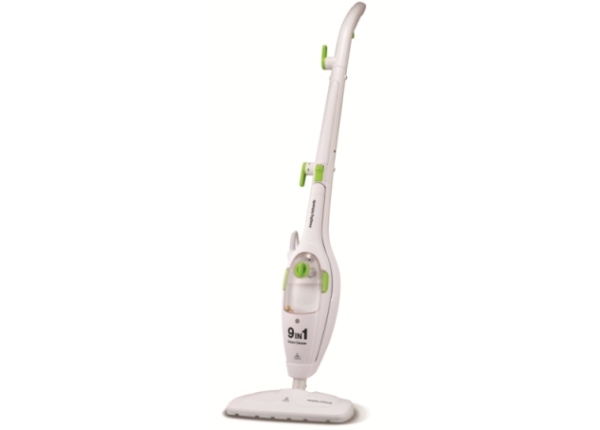 It produces a flow of steam and uses it to help clean and to sanitise floors (and sometimes a range of other surfaces). A small tank in the mop is filled with water and heated up to boiling point. It then flows out through the bottom of the mop, which will be covered with a removable cleaning pad. As you push the mop over the floor the steam picks up dirt and kills bacteria. 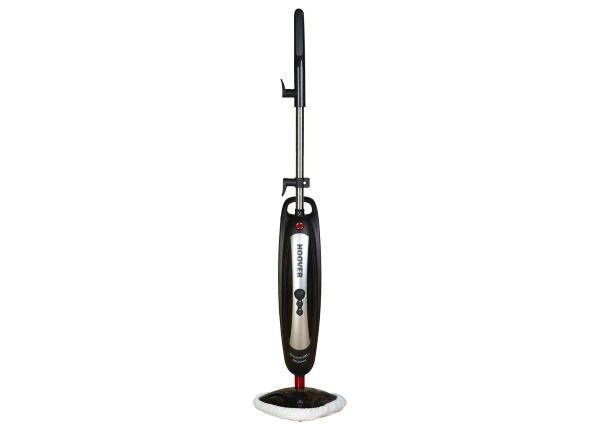 Steam mops are used on hard floors, but frequently models come with carpet glider attachments which allow you to use them on carpets and rugs. They are not for ‘deep cleaning’ pile, but they often do a good job at freshening and deodorising, as well as removing superficial marks. 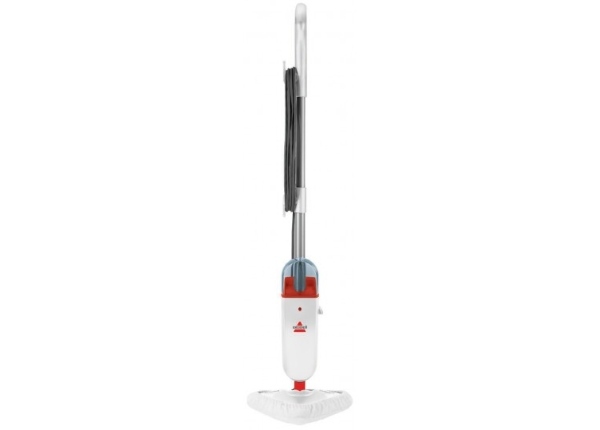 Many steam mops come with detachable ‘pods’ which can be used for cleaning other surfaces, typically: windows, shower screens, hobs, ovens, work surfaces, tiles, grout, sinks, upholstery and barbeques. 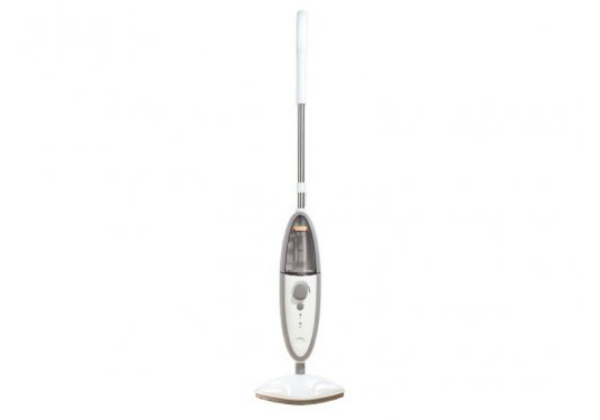 A basic steam mop (like the Hoover model shown left) is a fairly simple product designed primarily for cleaning floors. These range in price from about £20 for a budget model to about £100 for a fancier one. If you’re looking for something that will replace your existing mop and bucket and bring added benefits (as listed in the section below) then this is the type of product to look for. Many of the mops come with a carpet glider attachment and can be used to ‘refresh’, rather than deep clean, carpets and rugs. Basic mops will have a limited range of functions but will be easy to use and should also be easy to manoeuvre. An ideal purchase if you’re looking to try out the whole steam cleaning thing without spending an arm and a leg, and if your primary need is for something to clean your floors. If you’re looking for something with lots of added features like the ability to clean curtains, ovens etc then you’ll probably want to explore the multi-purpose products in the next tab. 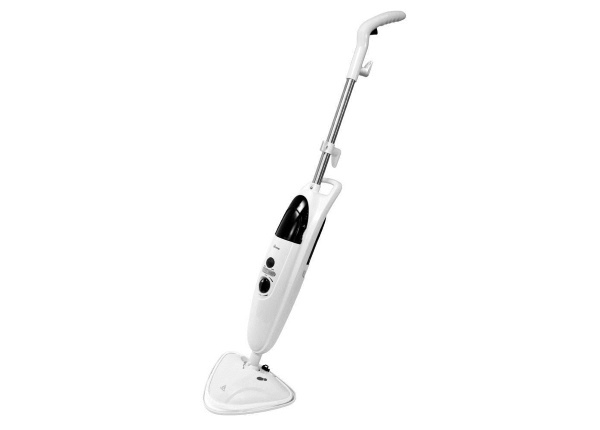 Multi-function (also known as multi-purpose) steam mops are, as you would expect, more advanced products offering a range of different cleaning options. 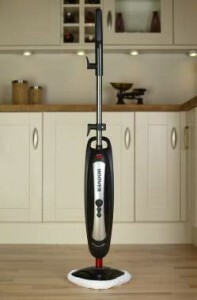 Multi-function mops like the best selling Morphy Richards model shown on the left, have proved very popular with buyers. Although they tend to retail for a fair bit more than their ‘basic’ cousins many feel that the additional features, functions and accessories are well worth the extra money. Products like this will typically have numerous different attachments (like the ones shown below) enabling users to clean not just floors but also shower screens, hobs, worktops, windows, ovens, barbecues and many more besides. Buyers regularly rave about the wide range of uses they’ve managed to find for their purchases and how satisfied they are with the results. Models usually come with a detachable hand held ‘pod’ and a range of heads to fit on them, such as squeegees, brushes and cloths. The pods can be used for jobs as diverse as defrosting the freezer, de-creasing clothes, deodorising fabrics, removing limescale from around taps and cleaning the toilet. 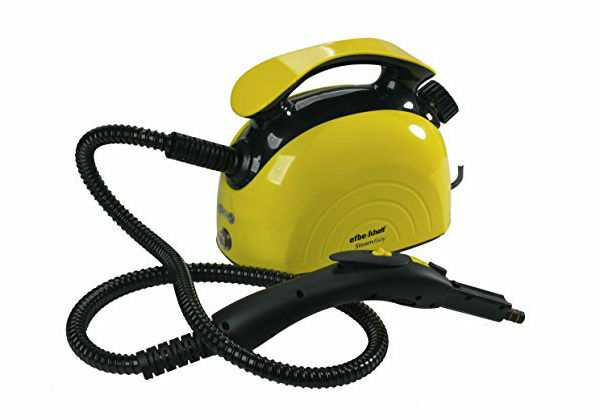 Handheld steam cleaners have the advantage of being compact, easy to store units. They are designed to be lightweight and to be good at getting into nooks and crannies which are difficult to clean by other methods. A burst of steam around the bath taps, or the back of the oven, can help to lift dirt and grease. They won’t do away with the need for wiping around with a cloth, but they should make the job very much easier. They are great for tiles and grout and help with many otherwise awkward cleaning tasks. Like the other steam clean units, a major plus is that you can get rid of bacteria and germs, without the need to use chemicals and so have the peace of mind of knowing that you are carrying out a really thorough clean and not leaving behind any toxic residue. Units start from around £15, so you are likely to be spending less on a handheld version than you would on a mop. Why buy a steam mop? 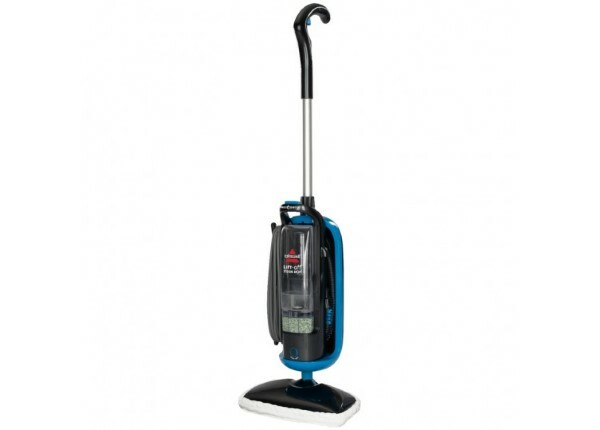 Is a steam mop really going to do a better job than a traditional mop and bucket and are there any other advantages? We look at the pros and cons of switching from basic to high-tech floor cleaning. Effective Cleaning – Steam kills 99% of bacteria meaning surfaces are more hygenic (handy if your children are prone to ignoring the guiding principles of the 5 second rule). Drier Floors – Leaves the floor much drier than a regular mop avoiding slips and trips (and the resulting calls to ambulance-chasing lawyers keeping insurance costs down for everyone). No Detergent Required – Can achieve great cleaning results without the use of detergent. Easy to store – Steam mops stow away neatly without the need for a bucket etc. Many users liked the fact that steam mops are generally designed to be used with no detergent, for a thorough clean that tackles 99% of household germs and dust mites without using chemicals. Particularly parents of small children and pet owners, felt happier knowing that their babies, dog or cats were in contact with a floor which wasn’t covered in a film of harsh chemicals. That said, some models do give the option of use with a detergent. Customers who opted for this liked the extra cleaning power, to cut through grease and often appreciated the fresh smell it gave the room. Whether or not you have a particular view on the use of chemicals, its something to bear in mind when choosing a model. A steam mop is really worth considering if members of your household suffer from eczema or allergies or if you think you have a moth infestation. Manufacturers say that steam mops destroy dust mites efficiently and kill moth eggs harboured by carpets. 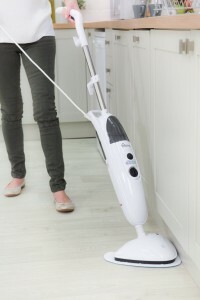 If someone in your house is particularly sensitive to dust then you may find that they benefit from frequent floor cleaning and this is likely to be easier to achieve with a steam mop -as floors tend to dry more quickly, so that mopping the floor is not quite such a ‘performance’ as with a mop and bucket. You may also find that a quick swipe over the carpet with the steam mop, is less of a ‘faff’ and less intrusive to family life than heaving the hoover out. A lot of people appreciated that steam mops take up little storage room – less than a traditional mop and bucket. Many users felt a steam mop to be more hygienic than traditional mop head, which stays damp and may harbour germs. They liked the easy to remove mop cloth heads, which just wash in the machine. Another plus point is that there is no struggling to fill up heavy buckets. Just fill the tank wait less than a minute and start cleaning. Customers appreciated the versatility of the models with removable hand held ‘pods’. They liked being able to use them for a variety of jobs and many models did a good job on surfaces like glass, tiles, grout and hobs – making everyday jobs easier. Perhaps an unexpected perk of having a steam mop with a removable ‘pod’ is that you can use it to deodorise fabric and also to de-crease. So if you don’t feel like getting the ironing board out and just want to remove creases from one or a few items, a quick going over with steam, will make the clothes perfectly presentable. Many models can also be used on upholstery. Customers also found innovative uses, such as defrosting the freezer. 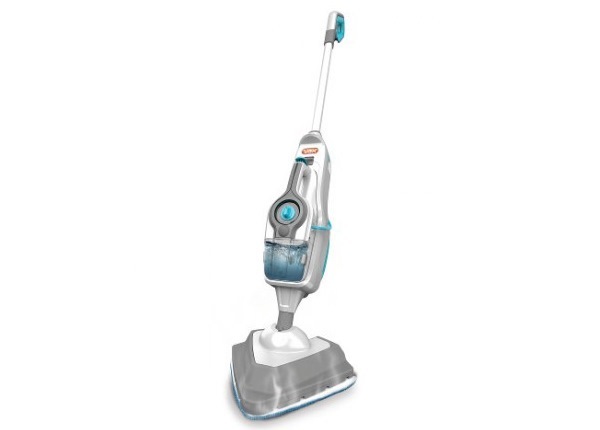 There is, of course, the option to go for a full steam cleaner, but a steam mop takes up less room to store and is not a major financial outlay starting at about £40 for a decent model. A steam cleaner will be shaped like a traditional vacuum cleaner, so they are bigger,heavier and more cumbersome than a mop. They are designed to do a range of steaming jobs. What about the basics? Cleaning power? Well this varied from model to model and that is why we have produced comprehensive reviews, so you can take your pick. Which one is best for you will depend on what you want to use it for and your priorities. A bad steam mop will not do much of a job on your floor and will make the task more complicated, with the cloth head falling off, or coming apart after a couple of washes. Some models just weren’t robust enough for repeated use, came to pieces after a few uses or produced such a feeble amount of steam that it was ineffectual. 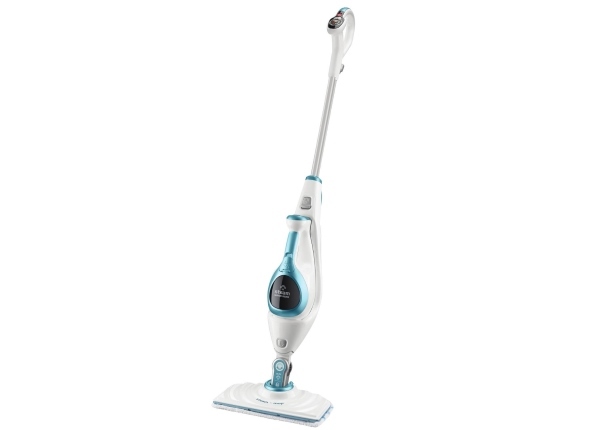 You may decide that you want a steam mop that can multi-task and so go for one with a hand held pod fitting. You may be prepared to compromise a little on floor cleaning power to get one with all the functions you want – as single use mops generally performed better at basic floor cleaning than the multi-taskers. That’s not to say that you can’t get a perfectly decent floor with a multi-use mop, though, because you can. You just need to choose wisely. We haven’t included the really dud mops in our reviews, because there’s not much point wasting your time on them. We’ve included the ones that perform well on various tasks, or are good all-rounders, so that you can judge which one would best suit your needs. 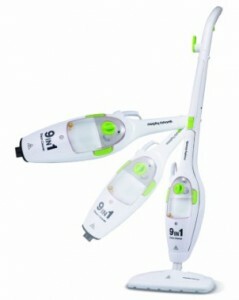 Basic steam mops range in price from about £25 for a cheap steam mop up to about £150 for an all-singing-all-dancing one. 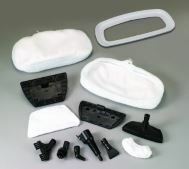 Many people are more than happy with a basic steam mop saying it does everything they need so why pay more for a bunch of accessories that will probably never even leave the box. 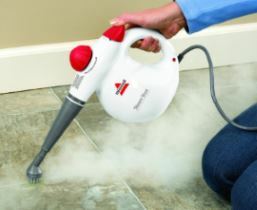 What surfaces are steam cleaners suitable for? You need to be aware that steam mops aren’t suitable for all surfaces. They should be fine on most hard, sealed floors, but it is sensible to check with your manufacturer whether they recommend steam cleaning. 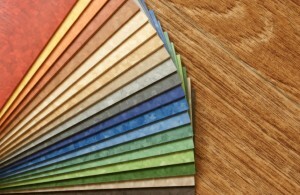 Some manufacturers of vinyl tiles specifically don’t. Similarly some double glazing manufacturers instruct not to use steam cleaners on their windows. With a machine producing a quantity of steam, there is obviously the question of safety. Used in mop mode there doesn’t seem to be a major problem. Obviously, you mustn’t put your hand over the steam outlet while the mop is in use. This means fitting the removable cloth head before starting to use the machine – which shouldn’t be a problem. From then on you should be at the handle end of the mop and the steam is coming out the other end, so there shouldn’t be a hazard. In hand held mode, there is more of an issue. Hand held models have steam triggers which have to be held down to produce steam, so that you should be very aware of when steam is actually being made and keep well away. Care is certainly needed in their use, but this shouldn’t be a difficulty and customers did not report problems. If you’ve read the sensible info above and are still in two minds about taking the plunge there is one more, slightly less sensible, but still relevant, point to take into account. Using a steam mop is altogether cooler, and a lot more fun, than using a regular mop. You’d probably struggle to find anyone who finds mopping a floor enjoyable. Add some gadgetry and a bit of steam into the mix though and it could almost, at a stretch, be considered vaguely entertaining. Think Sigourney Weaver in Aliens with that big, smoking gun blasting bugs to oblivion (your prey should, however, be significantly smaller and a lot less bitey). You may even be able to persuade your other half that having a go with the mop on the kitchen floor could be “a bit like Laser Quest“. So, whether for sound reasons or just because you fancy buying a new toy, you decide it’s time to add a steam mop to your cleaning arsenal take a look at our best buys here to see what we recommend.